Can Passion Keep You Away From Distractions and Focused on Your Purpose? Can you avoid getting sometimes lost along the way while you’re trying to make things work? Yes, let go of distractions. This will get you closer to your goal sooner. Keith Abraham’s career is all about passion. He crossed cultural barriers and spoke to over 1.5 million people in 23 countries about passionate performance. He believes you have to set our priorities straight and recharge your batteries when needed. You can either make an income out of your passion or make an income so you can support it. Keith thinks you should stay in love with what you do. ‘If you’re so good at it, fall back in love with it.’ Once you know your passion, you have to set personal, professional, profitable and physical goals. ‘It’s a line: passion, purpose, plan, progress.’ You should re-energize to progress, but keep the goal in mind: ‘Feed your focus’. Do you want to stay on track? Learn how to do that and remember to share it with your friends and spread the passion. Moustafa: Hello everyone and welcome back to Passion Sundays, the best way to end a week and start another. 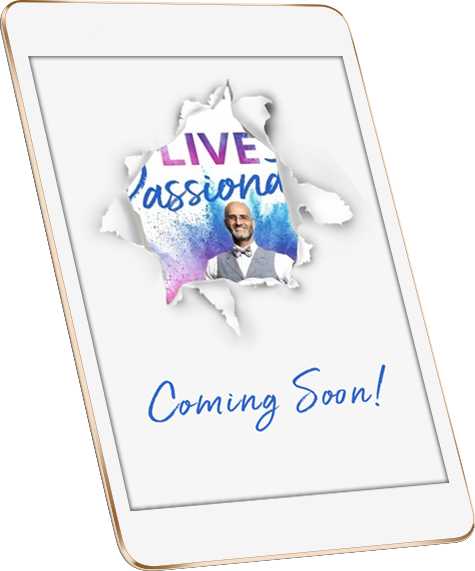 Our guest today is phenomenally passionate about the topic of passion, so much that he decided to talk about focus in passion – Keith Abraham! Multi-award-winning author and a fellow Passion Guy! Keith: Thank you very much! Moustafa, great to meet you! Moustafa: Two Passion Guys in one place. Keith: You’re right! 100% right! Moustafa: So what I’m interested in is the very phenomenal thing that you talk about, which is how to stay focused on passion because people and passion go wide and you help them go back into passion. Keith: Look, I believe it’s a line: passion, purpose, plan, progress. Moustafa: Ok. Passion, purpose, plan, progress. Keith: So if you’d said to me that you couldn’t use the word ‘passion’ ever again, I’d use the word ‘energy’. Keith: You want to hang around with people who have good energy. Keith: But you have to turn that into something. You have to turn that into your ‘Why?’, which is your purpose. Keith: And then you have to do the ‘What?’, which is the plan. And then the ‘How?’ is how you make progress. So all of that build-up, and you’re right. To do that, you have to have focus. You have to starve your distractions and feed your focus. Moustafa: Starve your distractions and feed your focus… I love that! Keith: Yeah! Because at the end of the day, there are so many objects, isn’t it? How many of your viewers suffer from next shiny object? Moustafa: Shiny object syndrome… Same thing. Keith: Yeah. And we want to be in everything. So it’s about stopping and saying ‘Ok, tell me the one thing, the one thing.’ ‘Cause I believe that once you know what your passion is, you need to channel it into a goal or a set of goals in 4 key areas of your life: personal, professional, profitable, physical. And once you’ve done that, then you can say ‘this is my key goal and now let’s focus on that’. I could do ten goals in each of those areas but what’s the one? Moustafa: What’s the one? At least as a first next step. Keith: Absolutely! And just to be able to channel your energy. I don’t know about you personally but most of the audiences that I speak to… I say ‘What’s the greatest frustration – not feeling that they are making progress.’ And you got to feel that you’re making progress. You got to be as you talk about. You got to be heading towards what you want and away from what you don’t want. Moustafa: I love the analogy you use about starving your distractions because what happens to most people is actually they feed their distractions more and more and it becomes harder to focus on what you are truly passionate about. Keith: They become busy being busy. And here’s what they think they do. If I’m doing something there and I’m doing something there and I’m doing something there – unproductive. And what I want to say to people is, and let me use the analogy… My father-in-law owns a boat. I have limited knowledge about boating but I know this: if I’m in a boat and I’m one degree off-course for 10 minutes in a boat, there’s no big deal. You adjust the sail, adjust the rotor and bring it back on course. Simple, easy. If I’m in a boat and I’m one degree off-course for 30 days, I’m lost at sea. Moustafa: More difficult to find your travel path. Keith: Correct because the challenge that most people have is they focus on the horizon, not on the destination. Moustafa: So it’s about focusing on the destination, not on the horizon. Moustafa: People get too broad of a horizon. ‘I want to help the world, I want to make an impact, I’m passionate about this’ and so big of a work that it makes us feel good because it makes us feel good enough for our ego. Keith: And most of their friends will go ‘Oh, that’s so wonderful. That’s great.’ But what does that look like in reality? Is it building a school? Is it becoming the CEO of your company? Is it, you know, being a millionaire or have a million dollars in the bank or writing a book or presenting to a group? Let’s distill it down to what does that really mean? Because what I do know is… with clarity comes confidence, with confidence comes certainty, with certainty comes consistency and how many people do you know are consistently inconsistent? Moustafa: Oh, the majority of the people that I know fit in that. Moustafa: And I love that analogy. I use the exact same words because clarity means certainty. Certainty means, you know, focus. Focus means action. And then that feeds itself. Moustafa: That being said, it’s all good when we’re talking about it. But sometimes life beats hard on you so much. Where do you get the passion when times are tough? Keith: You re-energize yourself. You know, there are four things. Everyone’s life is made of four parts: There are things in your life that you love to do, things in your life that you like to do, things in your life that you have to do and things in your life that you hate to do. All too often for lots of people the reason they lose their energy and their passion for life is because they are doing things that they have to do and things that they hate to do. And what I say to people is… I live in the real world. The real world is – you can’t have everything and the things you love to do or like to do. But when you’re doing the things you love to do and like to do, you give yourself permission to do those things. It re-energizes. So you can do the uncomfortable and the inconvenient. Moustafa: Nice. So it’s about accepting that yin and yang balance. Moustafa: Doing what you have to, to do what you want to. Keith: Life is perfect because it’s imperfect. And what I often say to people – I have to remind myself of this, is that everything is perfect. So when it’s not going right, I have to take a step back and say ‘Ok, this isn’t right. This is not perfect. But what’s the message? What’s the tap on the shoulder that I’m getting here? What’s the message that I’m getting? That I need to change, adjust, evolve, do things differently? Moustafa: So let’s change and adjust so we can do things more passionately. Keith: Yeah, exactly, exactly. At least do the things that re-energize us. So if you want to go and have a game of golf, go ahead and have a game of golf. Because that recharges your battery. So you can go through the crowd. So you can go through the tough, do the inconvenient, do the things that are tough. I think for a lot of people – and you know this – passion fits into two categories: you are either gonna do the things you love to do and you make an income from it or you go and make an income so you can do the things you love to do. And I don’t know what it’s like exactly in your part of the world. But I do know that for a lot of people in Australia is neither either. They exist and they endure. They don’t enjoy. Moustafa: Yeah. That’s the majority of the people because they’ve given up on themselves. Moustafa: And I believe passion is about consistency. Moustafa: Because you can love what you love and you can get good at it and bring value to the world but if you’re not consistent, you’re out of the game because you’ll be taken out. Keith: Correct. And I think along the way, one of the things that we’re challenged with is that we love what we do but we fall out of love with what we do. So we love what we do but we’re not in love with what we do. The pop culture will say ‘Oh, you should go and do something different. ‘ And my advice is: Do not do something different. Fall back in love with it. If you’re so good at it, fall back in love with it. Fall back in love with it and, I think in a lot of cases as we get older and we have kids or whatever it is, we get too serious. And we go ‘I’ll go that later, I’ll do that later.’ And we have to give ourselves permission to stay in the front of the line and do the things we love to do. So the tank’s topped up again. Moustafa: Awesome! So take the front line with your passion! Keith: Yeah, stay in the front line. Moustafa: Stay in the front, keep the passion living. Moustafa: I love it! Keith, thank you very much! This has been phenomenal! Keith: A delight, delighted to meet you. Thank you very much! Cheers! Moustafa: What do you think? I hope you found this as double-trouble passion as much as I did. And, if so, leave your comments on the blog below and share it with your friends. And if you’d like more tools, tips, techniques and exclusive interviews that I only share on my website, go to Moustafa.com. Until next episode, live passionately!